Thanks to Who What Wear.com here are the details of how Nicole Richie achieved her new darker locks .. Nicole Richie's new Ombré hair. Nicole Richie's warm iteration, which was created by celeb-fave George Papanikolas of the Andy Lecompte Salon in West Hollywood. 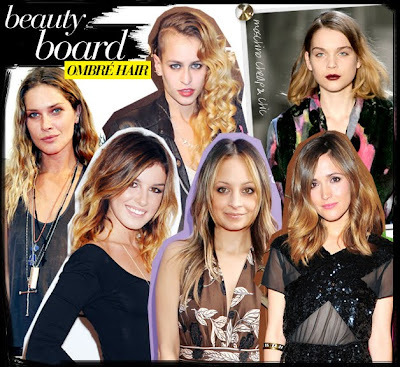 To read the full Ombre hair article Click here & head over to WhoWhatWear. Just saw a picture posted on Nicole's website and it looks like her hair is even darker now.